"Death Race 2" stars plenty of well-known names, including Luke Goss, Danny Trejo, Ving Rhames and Sean Bean, not to mention some delightful eye candy in the form of Tanit Phoenix and Lauren Cohan. 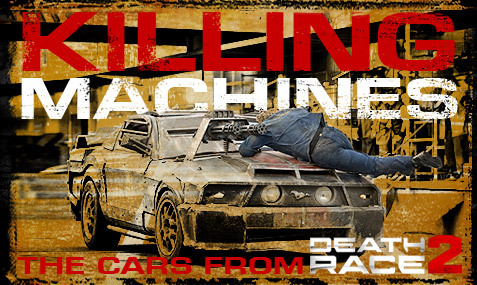 But for some, the real stars of this prequel to the 2008 "Death Race" are the tricked-out cars which are loaded with all sorts of machine guns, rocket launchers and whatever other kind of artillery you can think of. 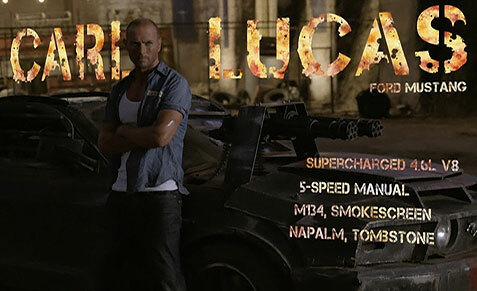 We were invited to the "Death Race 2" set last March in Cape Town, South Africa, and as part of our tour, we got an up-close look at these cars-turned-tanks. Check out some of our favorite photos in the gallery below, and be sure to take a look at our complete recap of the trip, including interviews with many of the names listed above as well as a travelogue with details about our time as an extra in the movie.